Coming in at #25 is Espinosa Laranja Reserva Caixa. The Espinosa Laranja Reserva was introduced in 2014. 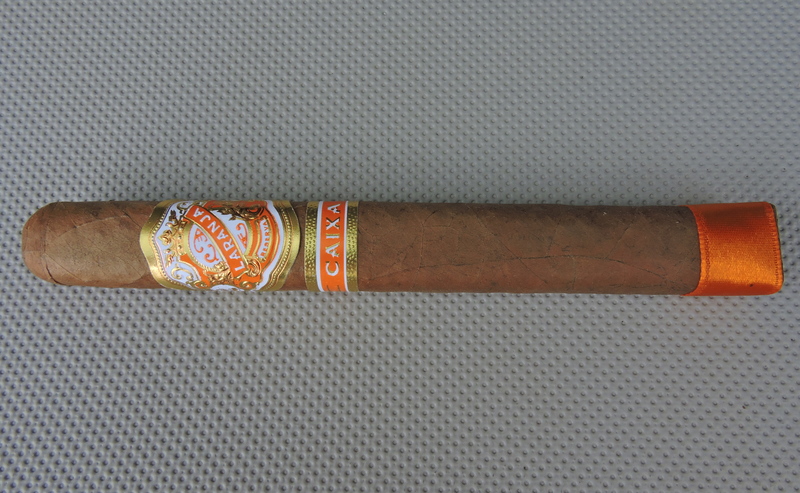 With the Caixa, this added a fourth vitola into the line – a box pressed Corona Gorda. The Laranja introduced the first Brazilian wrapper offering in the Espinosa portfolio. The name Laranja is Portuguese for Orange (referring to the orange-like color on the wrapper) while the name Caixa is Portuguese for box. The Caixa gives Espinosa Cigars a spot on the Cigar of the Year Countdown for the third year in a row. In addition, La Zona (owner Erik Espinosa’s factory) becomes the first factory in 2015 to land two cigars on the Countdown. The Caixa is a long 6 1/2 x 48 sized vitola. In addition to the Brazilian wrapper, the remainder of the blend consists of Nicaraguan tobaccos. I found the box-press of the Caixa helped deliver a nice level of complexity with the flavor profile. Along the way I picked up notes of natural tobacco, cedar, nut, and fruit. To a lesser extent there were some notes of caramel, leather, and red pepper. While there were plenty of flavor nuances, this cigar never became muddled and had a nice balance throughout. The flavors are robust and full-bodied – countered by a medium to full strength. The original Laranja line has been one that has aged quite well – and I’m confident the Caixa will do the same, but there is no need to wait. This is a box worthy cigar right now that can provide lots of enjoyment.